obj.propertyIsEnumerable(prop) return true for own property and its enumerable attribute is true. If return value is not specified, then undefined is returned. If the function is invoked with new and the return value is not an object, then this (the new object) is returned. Baz.prototype = new Foo();  //the [[Prototype]] of Baz.prototype is changed to Foo.prototype. 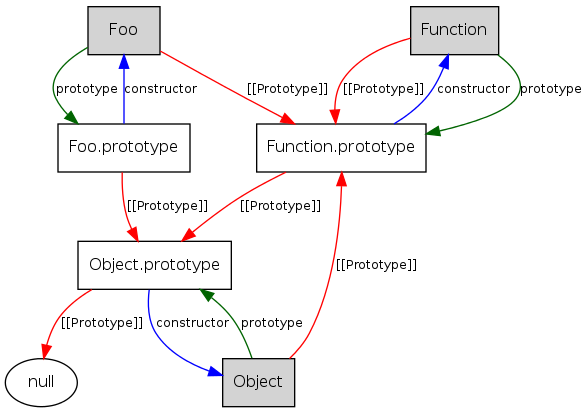 obj instanceof Constructor tests whether obj is in Constructor.prototype‘s prototype chain. proto.isPrototypeOf(obj) tests whether obj is in proto‘s prototype chain. © Copyright 2012, jch. Created using Sphinx 1.2.